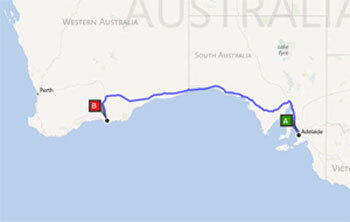 After rattling around a fairly small area for two weeks we decided that it would be a good idea to get serious and head toward Perth. After all, we only have five months. 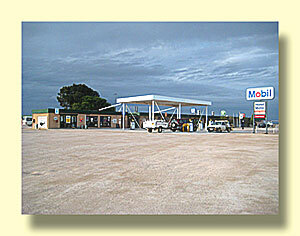 The road west is relatively remote. It's two lanes, paved, but not too heavily traveled. 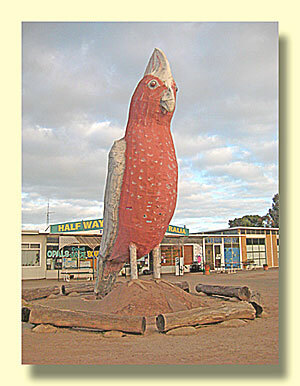 After the farming country comes the Nullarbor Plain. 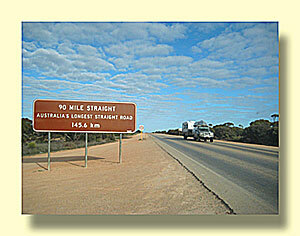 Nullarbor, in questionable Latin, means no trees. There are no real towns, just roadhouses, each offering fuel, a small restaurant and perhaps a bar, motel rooms, and a camping area. 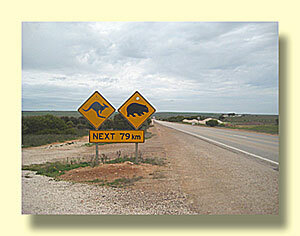 The road across the Nullarbour Plain runs fairly close to the coast. 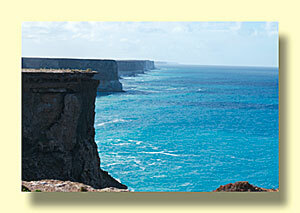 There are short roads and even roadside parking areas with clifftop locations overlooking the Southern Ocean. 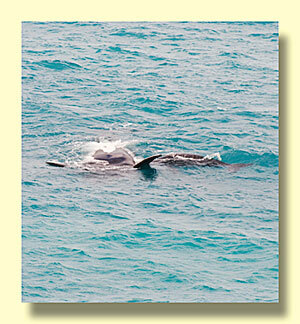 We were surprised to find Right Whales, just like the Gray Whiles on the Baja, calving babies along the coast. These whales come right up to shoreline where the water is shallow and fairly warm to have their babies and let them grow a bit before migrating south. 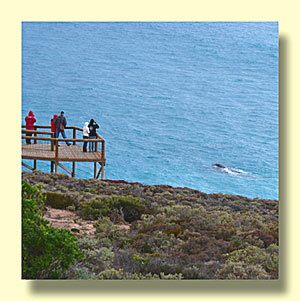 From the overlook we were able to see at least seven mother/calf pairs in the water below. 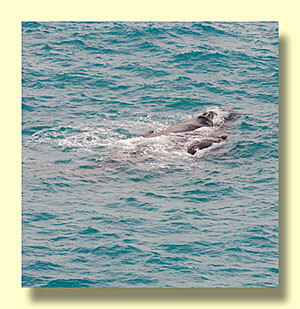 This mother is on her back to temporarily keep the baby from nursing. Her head is toward the camera, the baby is on the right. 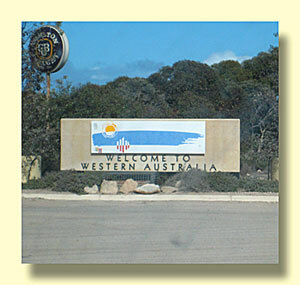 When you cross into Western Australia the road leaves the coast. When we passed through the area a large herd of wild camels was crossing the road. Unfortunately, we didn't get a photo. 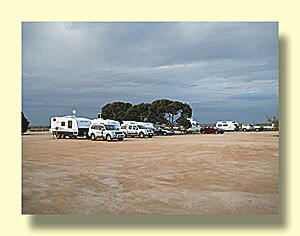 Does that give you some idea how popular camping is in Australia?